Removal companies view plants as one of the less desirable items that they are contracted to move. All the same, it is extremely common that they are moved and taken to a movers’ new home. It is important to be aware that plants are not an insurable commodity, though movers can generally deliver them in one piece. The following preparation generally helps the moving process and prevents any unecessary stress. Always ensure you tell your mover of any plants you wish to take. Prune them if possible to remove any potential breakage whilst in transit. Ensuring your solicitor mentions in the contract any plants you wish to take. 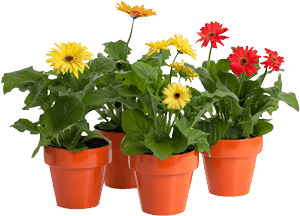 Also ensure that you have told your purchaser that you are intending to dig up plants. Place 2 plastic bags around the pot base and box if it possible. Remove any soil apart from what is necessary to keep them alive. Mark fragile on any pot, box or plastic bag that contains a fragile plant pot.